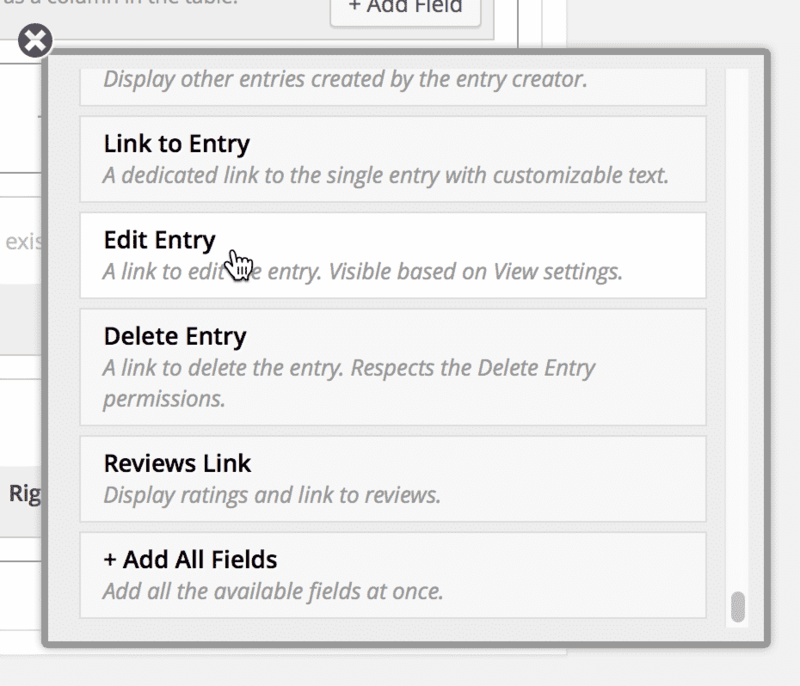 Learn how to allow users to edit entries they created. 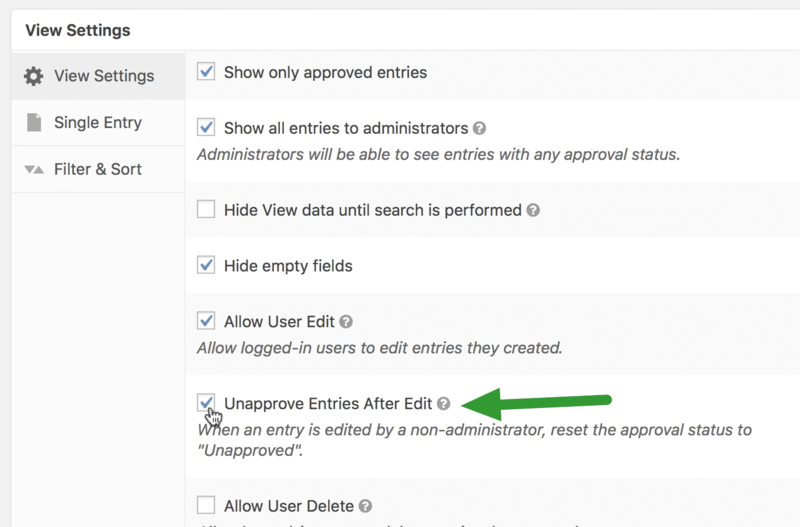 If you want to re-approve entries after the user has edited them, check "Unapprove Entries After Edit"
If an administrator edits an entry, the approval status will not be reset. If a non-administrator edits an entry, the entry approval will be reset. Learn how to manage entry approval. Click "Add Field", scroll down and click "Edit Entry". 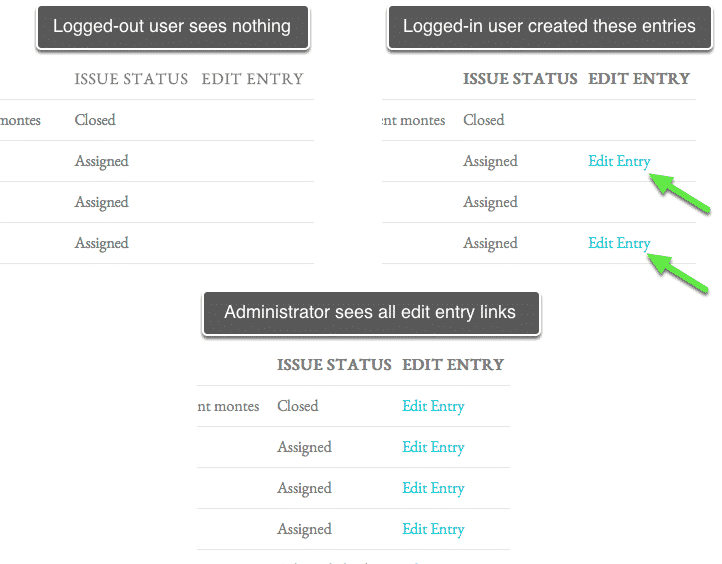 This inserts a link to edit the entry that will only be visible to users who are able to edit the entry. Site visitors who are logged-out or logged-in users who did not create the entry will not see the link. You can change the link text of the "Edit Entry" link. 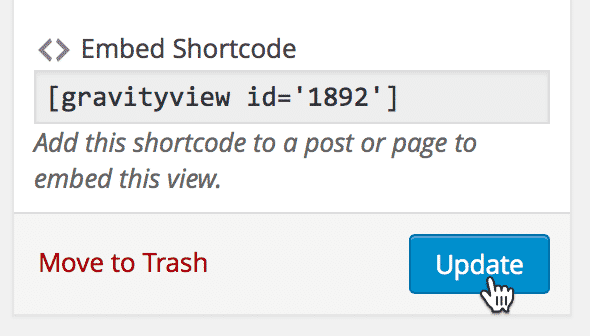 Now that you've added the Edit Entry field, save your View. Now you've enabled User Edit!